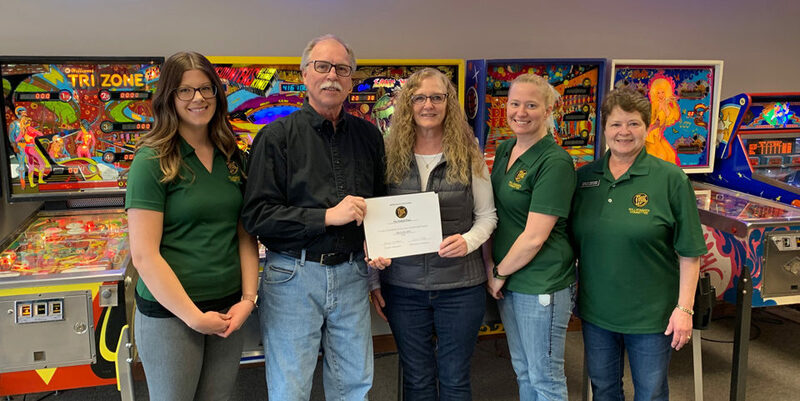 The Willkommen Committee recently stopped by Cricket Wireless to welcome them as a new business in New Ulm and a new member of the New Ulm Area Chamber of Commerce. Celese Montemayor, manager, explained that Cricket Wireless is unique in that all of their prices listed are what customers pay – and it includes all taxes or fees. Cricket Wireless has cell phone and data plans, and provides coverage nationwide. They offer family plans, insurance, a great music app, and they also sell phones and accessories in the store. Celese has lived in Sleepy Eye for the past 20 years and previously worked as the manager of the New Ulm and Sleepy Eye Hardees. The Cricket Wireless store in New Ulm, located at 1702 Westridge Road, opened at the end of March. Stop by and check them out! 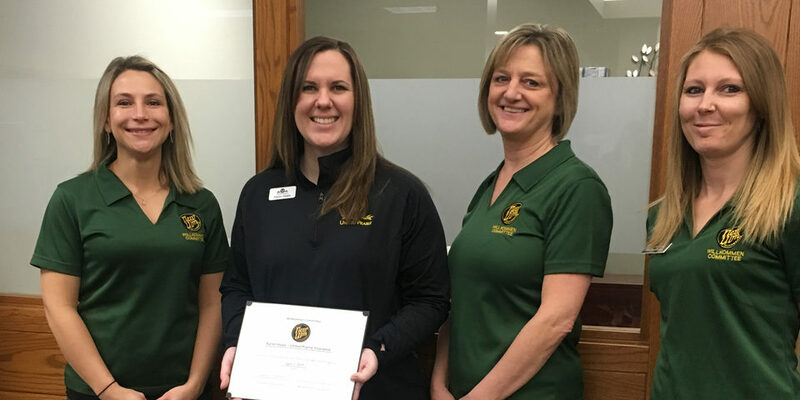 In the photo are: Kathy Van Roekel, NU-Telecom and Chamber of Commerce Board Chair; Celese Montemayor, Cricket Wireless; Sandy Schiebel, Kemske; and Jess Gieske, Maday Motors.